Builders League of South Jersey Grand Sponsor Trident Environmental, headquartered in Toms River, New Jersey has an experienced staff of LSRPs, Professional Geologists, Environmental Scientists, Biologists, Engineers and GIS professionals that provide on-time and cost-effective environmental consulting and remediation services. Our team has extensive experience in site investigation and remediation, UST management and closure, ISRA compliance, environmental due diligence assessments, wetland and ecological investigations, as well as environmental permitting and compliance on residential, commercial and industrial properties. Trident Environmental’s expertise also includes obtaining funding for the aforementioned work as well as to facilitate property transactions often hindered by environmental impairments. Trident Environmental is committed to providing our clients with the highest standards of quality and performance at competitive costs and we promise to deliver practical solutions to oftentimes complicated environmental liabilities. 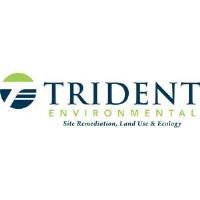 To learn more about Trident Environmental, visit TridentEnviro.com or email us at info@tridentenviro.com.